St Lucia’s Carnival is almost here and already the vibe is in the air for what promises to be another exciting Carnival. As we countdown the days to Carnival on July 18 and 19, we are getting our shoes, outfits and energy together for the next few weeks of partying. 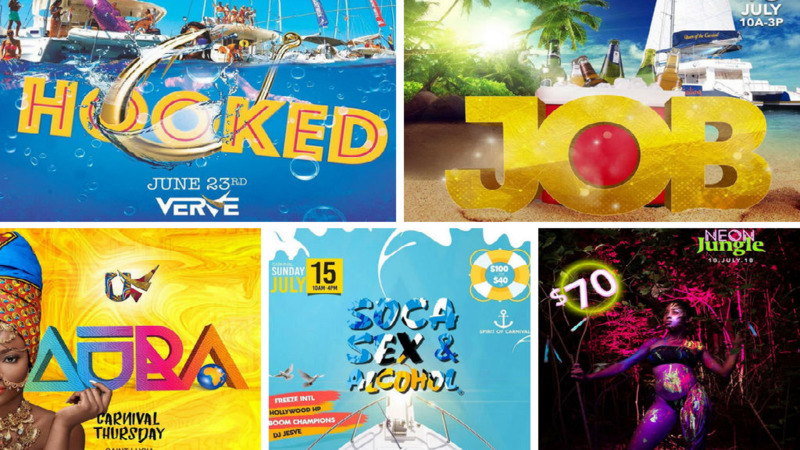 If you haven’t planned your parties yet or don’t know which party to attend, here is a list of fetes you don’t want to miss. _uck Work Binge. Time: 2pm - 8pm. Venue: Reduit Beach, Rodney Bay.